The week before school starts is going to busy enough that we are considering moving down the week before. There are going to be so many challenges orienting ourselves with the city that it will be less stressful if we have had some free time down there before everything begins. I feel nervous just looking at the street names! I was scared looking at street name in Frankfurt, and even Norway. Once there you brain will handle it. Hungary has contributed much to science in Hungary and in the US. My Physics teacher at university was Hungarian. What you SHOULD do is to treat yourself to a new iPhone, get a cheap Hungarian mobile subscription, enter those events into the calendar and add the street names. That way you can easily look it up in the Maps app once you’re there. Also, download Google Earth and create a bunch of Placemarks of interesting and need to know places. But you know me – anti analog. « Departing to Bodø tomorrow! 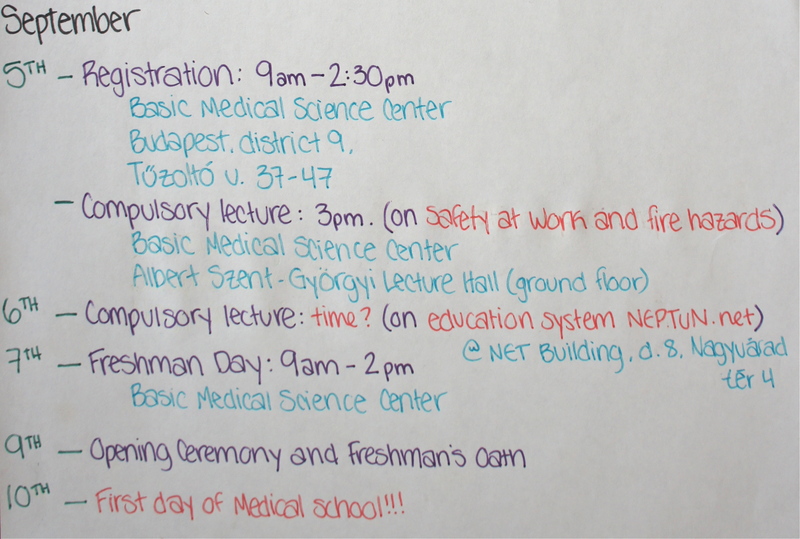 You are currently reading Lists and Registration Week Agenda at Buda-B.